Blending contemporary service and genuine hospitality, Swiss-Belinn Hotel & Apartment Nagoya Batam is the premier choice for both business travelers and holidaymakers alike. 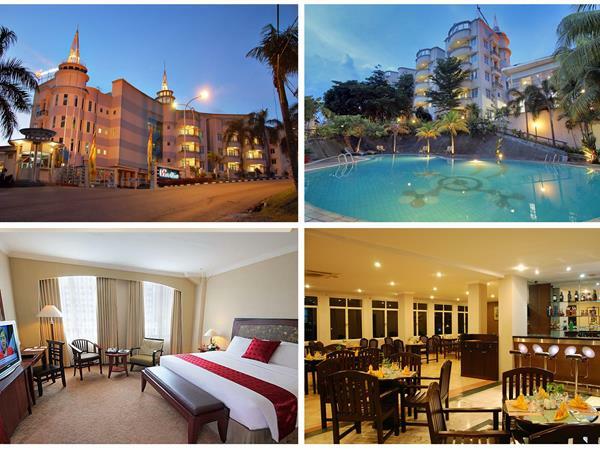 Located beside the major commercial and business area of Batam Island, Swiss-Belinn Hotel & Apartment Nagoya Batam is a three star hotel in Batam that only 30 minutes by ferry from Singapore and 20 minutes’ drive from Hang Nadim Airport. Our rooms are designed to meet all your needs and give you an unforgettable stay in Batam. We offer a choice of 96 luxurious guestrooms and apartments fully furnished with all the comforts you would expect of a three-star hotel. Dine in style at our in-house café with its selection of international, Indonesian, and traditional Malay cuisine, or chill out with a drink beside the pool bar. Other facilities we provide for our guests’ pleasure include an outdoor swimming pool, covered parking, laundry services, and facilities for the disabled and excellent room service. Book online to receive our best available deals. Our hotel rooms in Batam are designed to meet all your needs and give you an unforgettable stay. We offer a choice of 96 luxurious guestrooms and apartments fully furnished with all the creature comforts you would expect of a three-star hotel and apartment in Batam. Dine in style at our inhouse café with its selection of international, Indonesian, and traditional Malay cuisine in Batam, or chill out with a drink at our pool bar. Other Hotel facilities we provide for our guests’ pleasure include an outdoor swimming pool, covered parking, laundry services, facilities for the disabled, and excellent room service. Located right by the major commercial and business area of the Batam Island, Swiss-Belinn Hotel & Apartment Nagoya Batam we are approximately 30 minutes by ferry from Singapore and 20 minutes’ drive from Hang Nadim Airport.